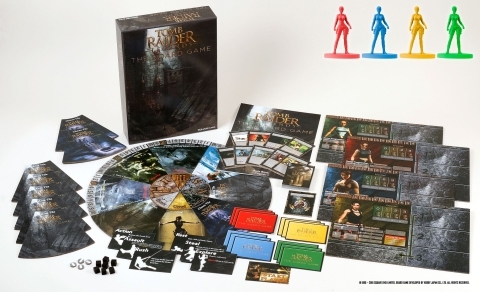 Tomb Raider Legends The Board Game is developed by Hobby Japan Co. and published by Square Enix. "As Lara Croft embarks on an unknown journey in search of a hidden artifact, the threat she faces is... none other than herself!? Explore ruins, see off threats, use your wits, arsenal and skills to prove that you, and you alone, are the true Lara Croft."